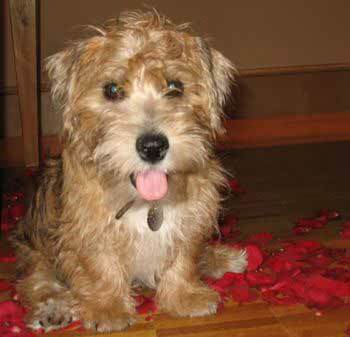 The Lucas Terrier is a rare, laid back, loving breed native to England. 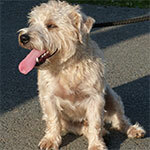 The breed boasts the intelligence of a terrier but lacks the negative nervous habits thereof. The breed is small, friendly, and low-key creating a unique companion. The Lucas Terrier made its first appearance in the 20th century and made its way to the United States in the 1960s. Little to no effort is needed to keep this dog happy and healthy on both the physical and emotional levels. They are easily trained and highly adaptable to most living circumstances. The lucas terrier is a purebred small dog breed that was bred to be an overly friendly companion dog. 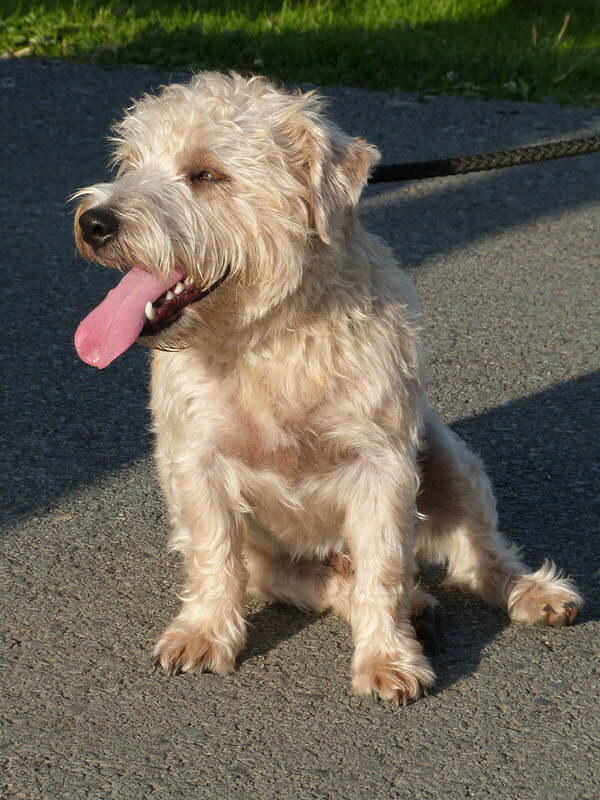 The lucas terrier was originally a hybrid dog which was bred by crossing a Norfolk Terrier with a Sealyham Terrier. 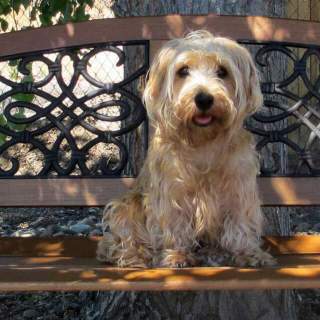 Today the lucas terrier is considered a purebred dog breed and dogs will only be considered a lucas terrier if their lineage can be traced back to the original bloodline (crossing a norfolk terrier with a sealyham terrier nowadays will not produce an official lucas terrier). The Lucas Terrier is a small breed when full grown. This breed has an average height range anywhere between 9-12 inches and weight ranges from 11-20 pounds. Generally females run smaller than males. This breed is smart,sweet, and anxious to please others. 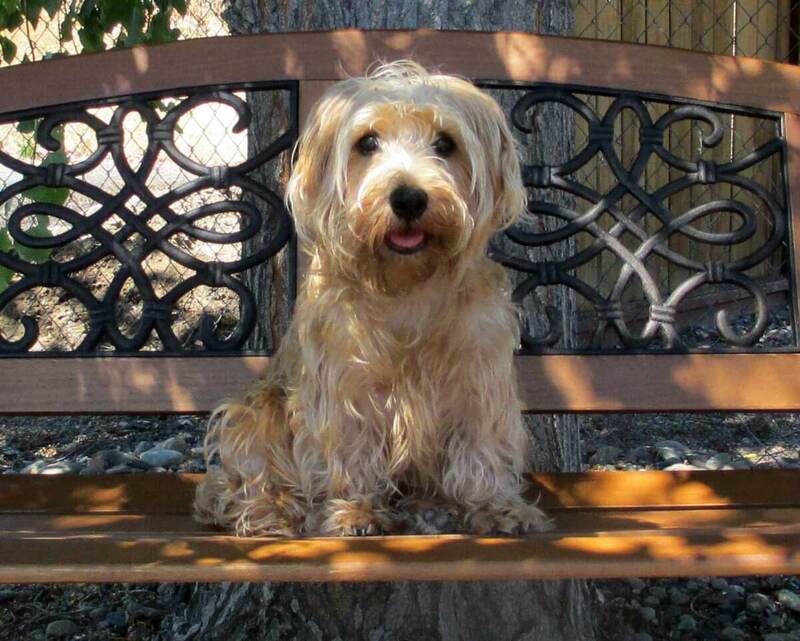 This Terrier is exceptionally loving, creating harmonious relationships with those around them. This pet has a high adaptability to new people, situations, and environments. An all around VIP of dogs. 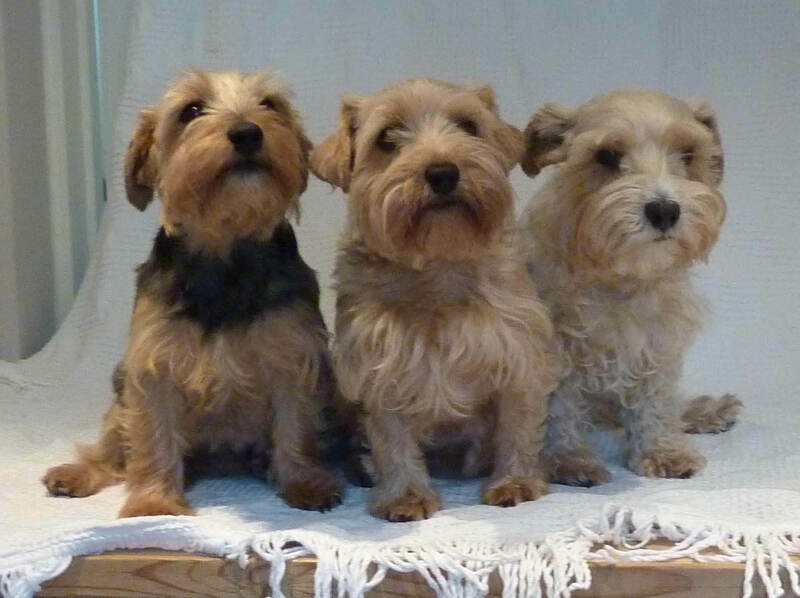 Lucas terriers were bred to have a calm friendly temperament making them ideal dogs for children and families with other pets. However, since they are small dogs it is recommended to monitor them when they are with younger children since they can be injured if they are played with too roughly. The lucas terrier is a low maintenance dog breed. Their small size makes it easy to reach their daily exercise needs. A daily walk or a vigorous play session is all the breed needs each day. Lucas terrier shed very little and don't generate a doggy odor which makes their coat maintenance easy. They generally need to be brushed weekly and bathed when dirty. Training tends to be a breeze because the Lucas is always ready to appease their owners. The Lucas Terrier originated from Great Britain in the 1940's by previous Sealyham Terrier breeder, Sir Jocelyn Lucas. 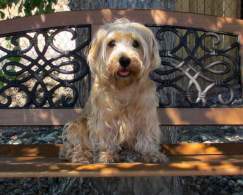 The Lucas Terrier is a cross breed of the Sealyham Terrier female and the Norfolk Terrier male. At some point when Sir Jocelyn grew older and unable to carry on, the breeding of the Lucas was taken over by a woman named Mrs. Enid Plummer. When both Jocelyn and Plummer died in the 1980s, another lady named Miss. Jumbo Frost took the lead to carry on the name and breed of the Lucas Terrier. She was a key player in the establishment of the breed when she created the Lucas Terrier Club before passing away. The breed made its first appearance in the United States in the 1960s. Most likely they made their way to the states in the arms of Americans that spotted them traveling through Europe. There are very few breeders in the United states. The Lucas Terrier Club of America (LTCA) is the only officially recognized breeding club in North America. This club maintains promotes the Lucas in the United States and Canada. The Lucas is also recognized by the UK by The Lucas Terrier Club of the United Kingdom (LTCUK). Nowadays, for a Lucas to be recognized it has to be from the family tree of one of Sir Jocelyn Lucas's terriers. The Lucas Terrier is a small and stout, double coated Terrier. They are said to be very muscular with wide set shoulders, an expressive muzzle, and a strong jawline. The coat is semi-coarse, with a mid-length. They have dark almond shaped eyes, small triangular ears, and black noses. Their weight ranges anywhere from 11-20 lbs and stand at a height of anywhere between 9-12 inches. A large range of colors for the Lucas exist including: tan, saddle (black and tan), white, blue (black, or black with white patches), or grey. The color should not be mainly black. The Irwin Lucas Terrier is said to have dark surface coat with lighter markings or vice versa. The height of Lucas males range from 10-12 inches and females range from 9-11 inches. The weight For Lucas males range from 14-20 pounds and females from 11-17 pounds. The Lucas Terrier is cool, calm, and collected. 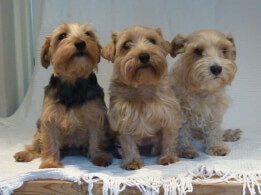 They are small, intelligent like the terrier without the nervous tendencies. The Lucas possess low-energy levels giving it a laid back attitude. They are also known for being sweet-natured making them the perfect companion. They make the best company for walks in the park. The friendly aspect of the Lucas's character makes them compatible with children. Like most breeds, strict supervision is recommended when pets are around small children. The Lucas was breed to be a lap dog companion. Because it was never meant to be a hunting terrier, no aggression should exist. This combined with the friendly nature of the breed makes the Lucas no threat to other pets. They are kind natured toward all people and new human friends are no exception. However if you're looking for a watch-dog the Lucas may not be a good fit, partly because they aren't very prone to bark. 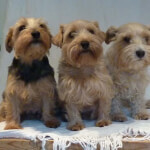 Below are pictures of the Lucas Terrier dog breed. The Lucas Terrier is all around low-key in the areas of grooming, training, and exercise. A weekly brush and the occasional wash will do for grooming. The intelligence of the Lucas makes training simple especially with a consistent firm approach. As far as exercise is concerned a daily walk is acceptable. Grooming the Lucas Terrier depends upon personal preference. You can choose to let your dog's coat grow naturally, comb out loose hair with your hands (or a wide toothed comb), or you can choose to have your dog professionally clipped. If you so choose the third method of action be aware that the coat of the dog may be altered when cut and the lighter, often white roots are revealed (which is the genuine coat color). This is most common in dogs with darker coats. The Lucas should be washed bi-weekly or when necessary and brushed on a weekly basis. This breed consists of a double coat and the "traditional" (handstripping) method mentioned above is the most common form of grooming. The Lucas sheds very little, so no worries of bits of fuzz stuck in the carpet or all over the furniture. This breed is considered hypoallergenic.They also lack the strong smelly odor that some other breeds possess. Likewise, tail docking is up to the breeder along with declawing; these are both common practices. The only necessary form of exercise for the Lucas Terrier is walking. This breed should be walked on a daily basis, keeping them content and happy natured which prevents behavioral issues. Another form of acceptable (recommended but not required) forms of exercise is playing in the park or in a fenced yard. The Lucas' low-energy brings some flexibility to the table when it comes to living environments for this breed. A large home or a studio apartment, either or any between will be sufficient. They can live in the city or the country. No real guideline when it comes to living for the Lucas. They can roll with just about any living space and does not require a yard. 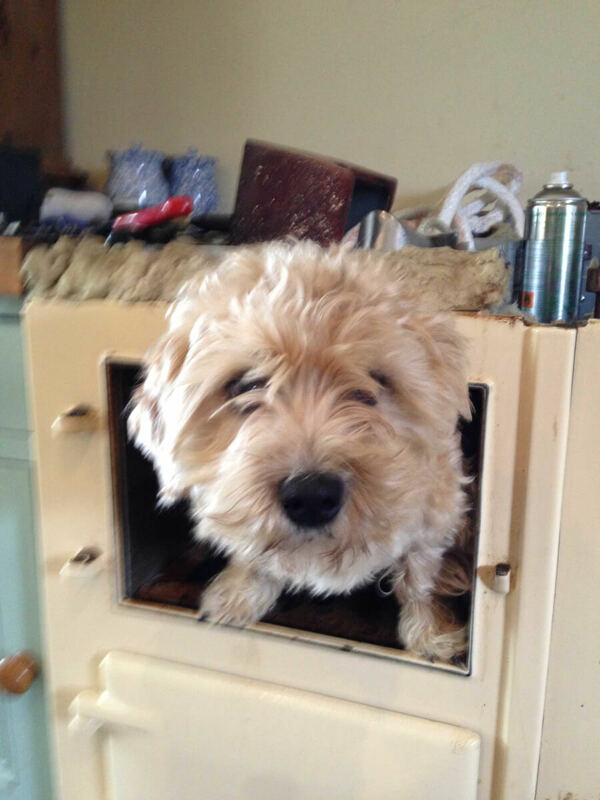 The Lucas Terrier, like many (especially small breeds) do not take well to extreme temperatures such as too hot or too cold and are primarily house dogs. The Lucas Terrier's lifespan is between 12-17 years. They are primarily considered a healthy long living breed with little health problems.